Posted on 12 November 2009 by Steve Thoms. With all the Swine flu-scare out there, now is a great time for the dealers/practitioners of so-called “Complimentary and Alternative Medicine” (or CAM) to shill their wares and prey on a gullible and/or misinformed public. People are scared and confused right now, so what better time than now to get the word out on some bogus treatment with little-to-no evidence of efficacy or safety? Well, this is mainly true. However, I feel it important to point out that it’s nearly impossible to have any side effect from homeopathy, aside from drowning. For those unfamiliar, Homeopathy is a pre-scientific clinical modality that says you can dilute something in water past the point where there is any active ingredient left, and that you can heal with the idea of ‘like-cures-like’ (called, the “Law Of Similars”). Therefore, the homeopathic remedy for sneezing would be diluted black pepper, and the remedy for sleeping problems would be diluted caffeine….but the substance is diluted so much that you don’t get the original ingredient anyway. 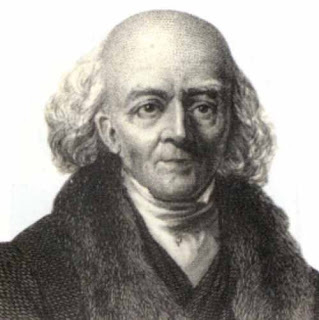 In the paraphrased words of James Randi, “You take a substance that is causing the problem, and then you don’t do that.” It was invented in 1796 by German physician Samuel Hahnemann, as a safe alternative to conventional medicines of the day….you know, when people were swallowing silver, mercury and nickel while drilling holes in their head to balance their humors. Compared to those options, I’d take a glass of funny-tasting water any day. A general rule of thumb: If the medicine you’re taking hasn’t changed techniques since the time of the inventor who is represented by a line-engraving, it’s probably not exactly cutting edge. It’s easy to find the appeal of homeopathy if you don’t pay attention to what it actually is, and the homeopaths make every effort to hide that knowledge, instead appealing to every logical fallacy under the sun. The usual arguments involve a) no side effects, b) all natural, c) it’s old and popular, and d) ‘Big Pharma’ has corrupted science, because money taints everything. Well, some quick responses to those “arguments”: a) It’s generally true that if a thing can help you, it can also harm you when taken improperly, but the flip side of that line of thought, is that if it can’t harm you, it also probably has nothing in it to help you either, b) All-natural doesn’t mean anything, since arsenic, poisonous mushrooms, gravel, and bird-poo is also natural c) Homeopathy hasn’t changed since 200 years ago….I don’t trust any medicine that old, and just because Paul McCartney uses something, is no reason to assume it’s a valid medicine, d) The profits garnered by “Big Placebo” is well documented, such as those by homeopathic mega-corporation, Boiron, who made â‚¬466 million in 2008. But that doesn’t matter, since profit does not a poison make. Two Vancouver-area homeopathic clinicians in particular (and I use the term ‘clinicians’ very loosely) have been active in their local media advocating varying degrees of vaccination. It’s one thing to say that homeopathy can be a helpful supplement (but remember: it’s only use is as a placebo), but it’s quite another thing for a homeopath to exclaim that the vaccine is dangerous (because the Polish health minster said so), and that people should opt for homeopathic vaccines instead. I guess the conflict of interest doesn’t apply to the linked homeopath, Sonya McCleod, who charges $10 per flu vaccination (up from $5 two weeks ago). Another Vancouver-area homeopath wrote a piece in the Vancouver Observer (who dedicates an entire column to her! ), which essentially was about presenting homeopathy as the excluded middle (when it’s actually the ineffective fringe), loaded with the usual cries of mainstream medicine killing people, and special pleading (“As homeopathy is individual medicine, it doesn’t fit into the one size fits all method of conventional medical prescribing”) while not actually saying what homeopathy is: water. For all the fire-branding and gun-blazing that the homeopaths engage in regarding the financial interests of the pharmaceutical companies (and the mainstream media and government who apparently do whatever the pharmaceutical companies demand), why has none of the media outlets that give them a voice taken the time to point out that it’s a little odd (read: hypocritical / unethical) for a homeopath to push homeopathy (which they conveniently sell…..for the low-price of $120 you can buy yourself a homeopathic first aid kit, made by the aforementioned Boiron)? If a pharmacist were to make a concoction in his kitchen, claim it can protect from the flu, and then sold it at their pharmacy, he/she would loose their license, and probably face criminal charges. Yet the homeopaths get free reign (credit for that insight goes to Scott) to say and sell whatever they want. Fortunately, mainstream media has largely kept this outdated modality where it belongs: the lunatic fringe. But with 48% of Canadians planning to not get vaccinated, I’m reminded that even the lunatic fringe can get the flu, and that a rational-mind does not make a person immune to influenza any more than heavily-diluted arsenic, chamomile, or anything for that matter. And before any pro-homeopath out there starts yelling that “You have to try homeopathy for yourself!”, I did. It did nothing. Also, I get zero money for this post. No pharmaceutical company, doctor,media outlet, government agency or corporation pays me a dime. But I’d like it if they did, because gas is expensive.